Every walk contains a fact-file of all the important information, a detailed walk description, a small map (at 1:50,000 or 1:75,000) showing the line of the route and an easy-to-read height profile. There are also two overview maps (at 1:50,000 and 1:75,000 scales) for general planning; the 85 colour photos give you an excellent insight into the landscape characteristics of all the walks. 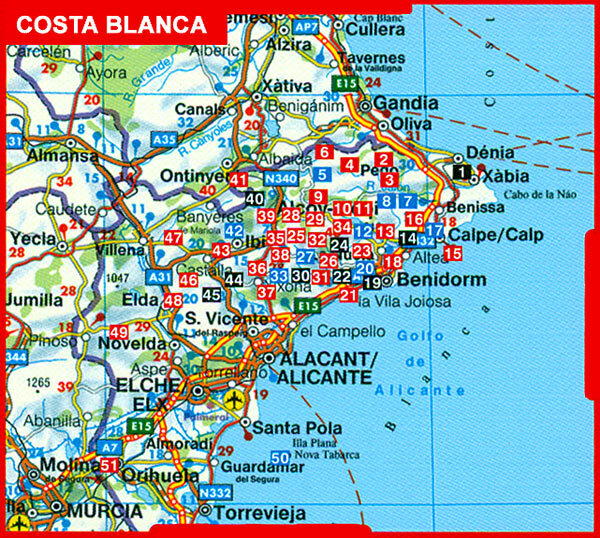 This guide provides a reliable companion for unforgettable days in spectacular natural environments - for short trips near to large holiday resorts, as well as more challenging summit ascents in the remote mountain countryside of Alicante province. The selection ranges from leisurely strolls along the coast, to pleasantly cool rambles along rivers and gorges, to mountain walks with stunning views. 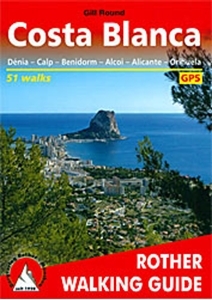 The guide features 17 walks in Northern Costa Blanca, 18 inland from Benidorm, 9 between Alicante and Alcoi, 5 inland from Alicante and 2 in southern Costa Blanca. 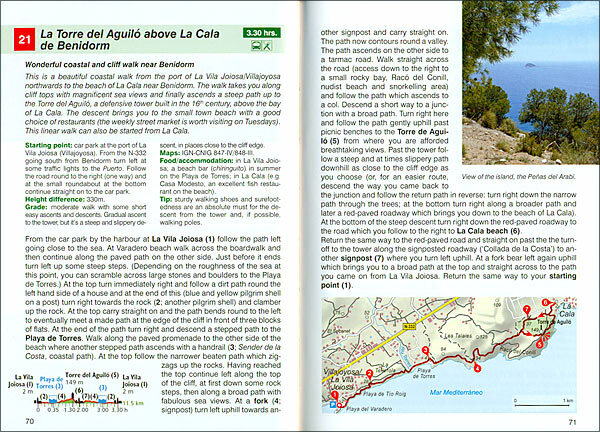 The book details how to download the GPS data for the routes featured in the guide.